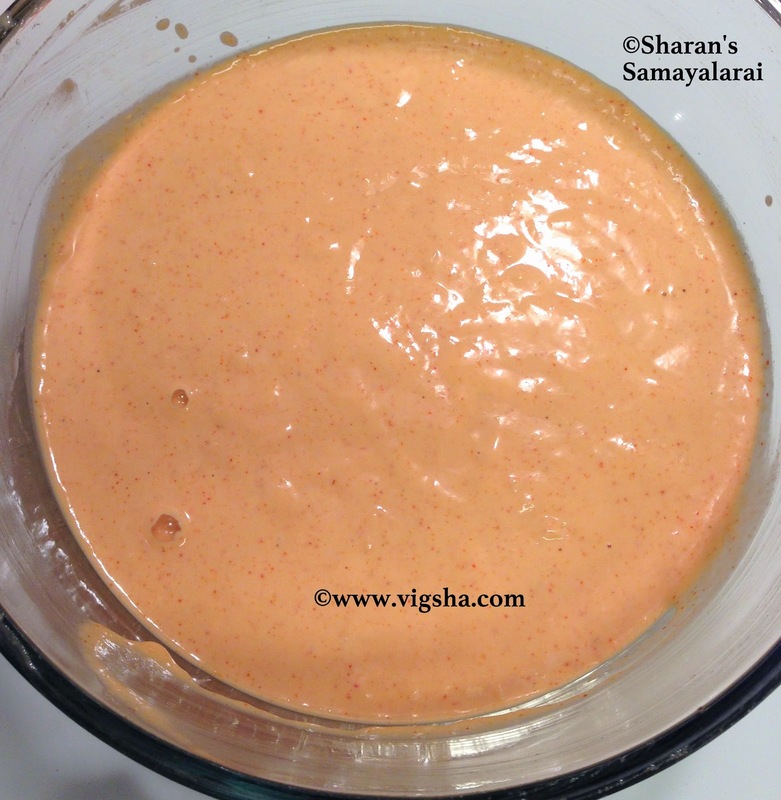 Suyyan / Suyyam / Susiyam / Sukhiyam / Suzhiyam is a traditional South-Indian sweet delicacy. There are different names and methods for preparing this. I have followed my mom's method which is my favorite and simple too. This is an excellent way to use the over-ripe banana. 1). Powder the jaggery without any lumps. 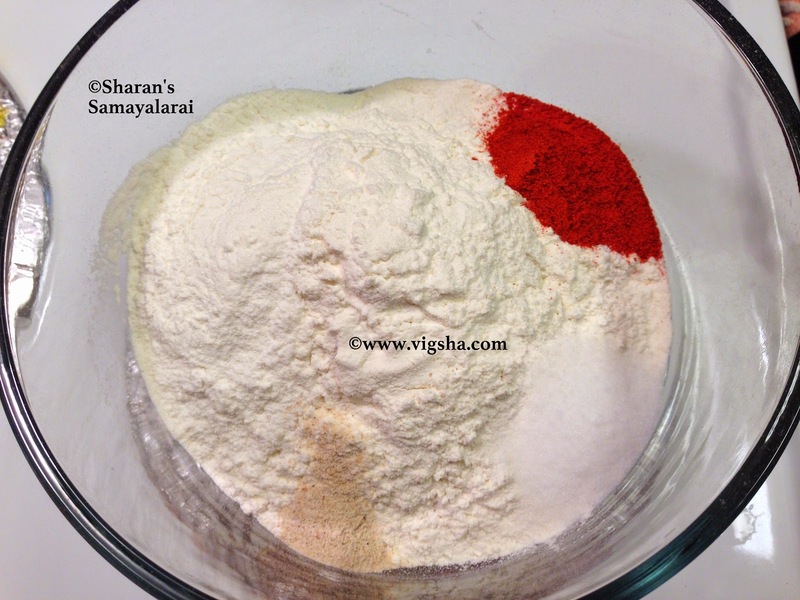 Mix maida and rice flour with the jaggery. Then add banana, grated coconut and cardamom powder. Combine everything together by adding water little by little to bajji-batter* consistency without any lumps. (Neither thick nor thin). 2). Heat Oil in a pan for deep frying. When the Oil is hot, take a gooseberry size of batter and gently slide it in the oil. Turn over and fry till brownish color. Make sure not to leave them for long, as they tend to turn black. Remove onto strainer to drain excess oil. Serve the delicious Sweet suyyam with Savory Suyyam. 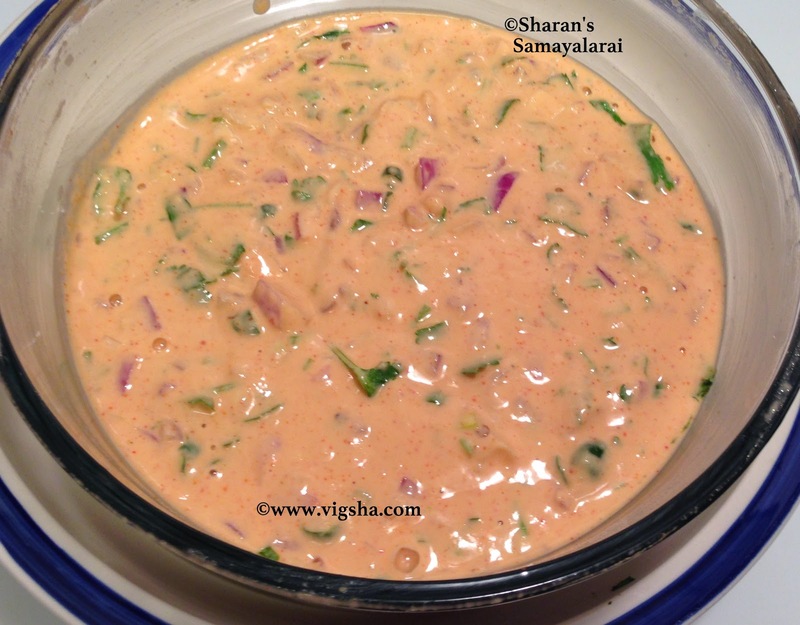 This is a perfect combination with Sweet Suyyam. 1). Mix maida and rice flour. 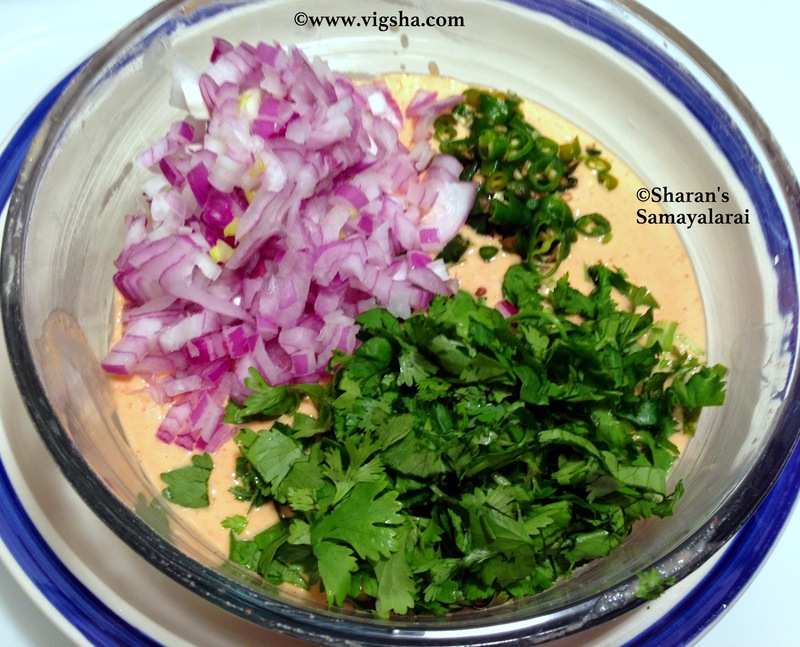 Then, add copped onions, curry leaves, coriander leaves, chilli powder, salt and hing. 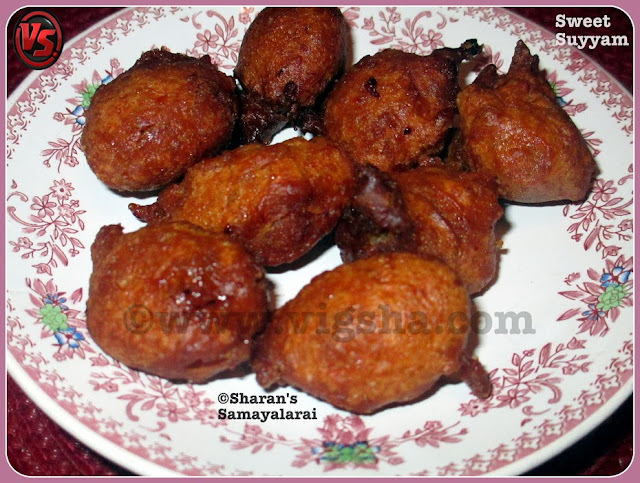 Combine well to bajji-batter* consistency by adding water little by little without any lumps. (Neither thick nor thin). 2). Heat Oil in a pan for deep frying. When the Oil is hot, take a gooseberry size of batter and gently slide in the oil. Turn over and fry till golden-brown color. Remove onto strainer to drain the excess oil. Serve the delicious suyyam with Sweet Suyyam. # *The batter should not be too thick like a Chapathi dough. Rather, it should be like idli batter consistency - free flowing but not too thin. # Make sure you fry in medium heat throughout the process so that it cooks evenly. 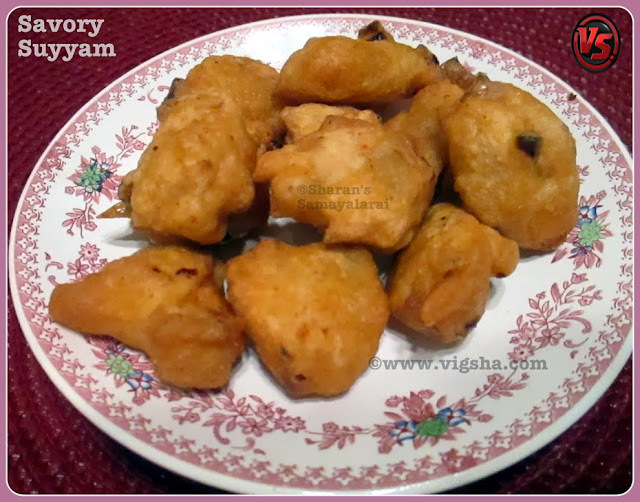 # For sweet suyyam, you can replace jaggery with white sugar. But Jaggery tastes better.